After Interfilm Pitching Forum and European Short Pitch 2018 (Nisi Masa), the project Maïssa is selected for the residency Le C.L.O.S. (septembre 29 – october 9) organised by the Festival International du Film Indépendant de Bordeaux: résidence francophone en Nouvelle Aquitaine / créations libres et originales du 7ème art. We will present our work during the International Coproduction Forum of the Festival the 10 and 11 of october 2018. 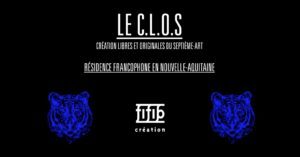 Looking forward for to developp my project in Le C.L.O.S. ! / If you haven’t seen my short film The brother yet, it’s available on the great video platform IFFR UNLEASHED !! Thank you International Film Festival Rotterdam – IFFR for the invitation !! Please share !!! 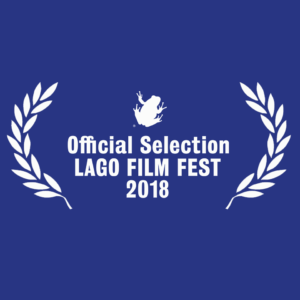 The brother will be part of the international competition at the 14th Lago Film Fest, International Festival of independent cinema ( 20 – 28 july, 2018 • IT). My feature film project « J’irai boire avec les abeilles / I will drink with the bees » is selected for the FEST – Pitching Forum 2018 organized by the 14th FEST – New Directors New Films Festival (22-23 june, 2018 • PT). The brother will be back in Montreal, part of the official selection of the 13th Edition of the Montreal Underground Film Festival (18-20 may, 2018 • CAN). 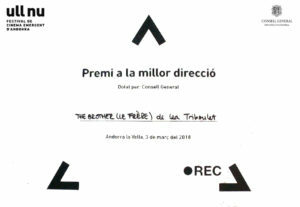 AWARD FOR BEST DIRECTION / Premi a la millor direcció for The brother !!!!! 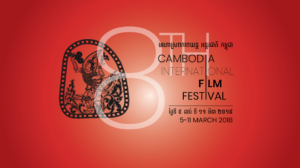 The brother will be part of the international shorts at the 8th Cambodia International Film Festival ( 5 – 11 march, 2018 • KHM). The brother will be in competition at the 18ème Ull Nu Festival de cinéma émergent d’Andorra (february 28 – march 03, 2018 • AND). The brother will be part of the official selection at the 11th Thess International Short Film Festival (december 13-17, 2017 • GR). Amazing news ! European Short Pitch Jury Award for my new project Maïssa at INTERFILM Interforum International Script Pitch in Berlin! 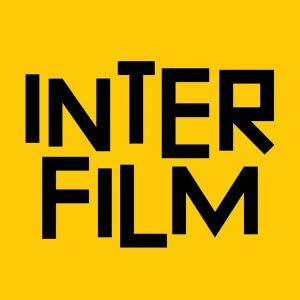 Thank you so much interfilm Berlin, NISI MASA – European Network of Young Cinema, my tutors and colleagues of the workshop this week ! Looking forward for the next ESP ! !